Smoothies are a great way to ensure that kids get the nutrients they need each day. This smoothie not only tastes great with the popular flavors of chocolate and peanut butter, but also provides numerous health benefits. This classic smoothie is great for breakfast or a mid-morning snack to give kids energy for the day ahead. Sometimes, picky eaters have a hard time getting the right amount of nutrients they need each day. Protein, the main nutrient in this smoothie, is necessary for kids to grow. To start, the base of this smoothie is low-fat milk, which is an excellent source of protein. If you have children who are lactose intolerant, almond or soy milk can easily be substituted for the dairy milk. 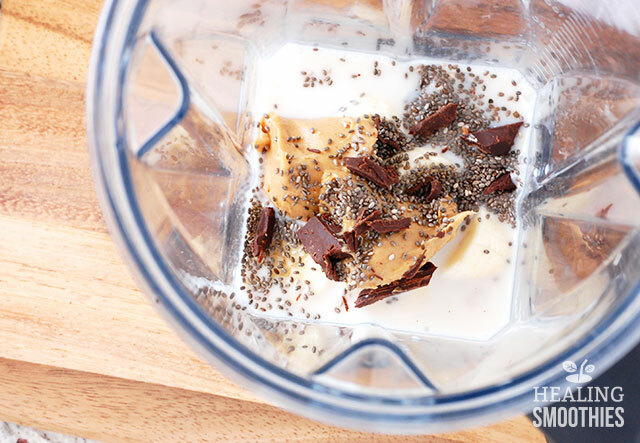 Peanut butter also provides protein in this smoothie. Both the fiber and protein in peanut butter keep you feeling fuller for a longer period of time (which can curb snacking as well). Besides satiating hunger, protein can aid in building and repairing muscles. The amino acids in protein help to construct muscle tissue in your body, important for growth. 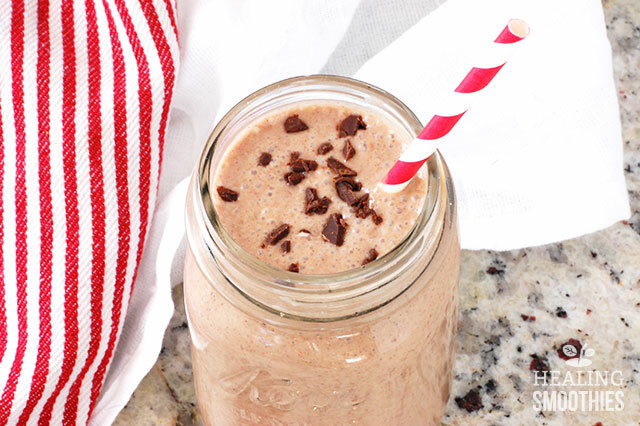 Dark chocolate serves a dual purpose in this smoothie. 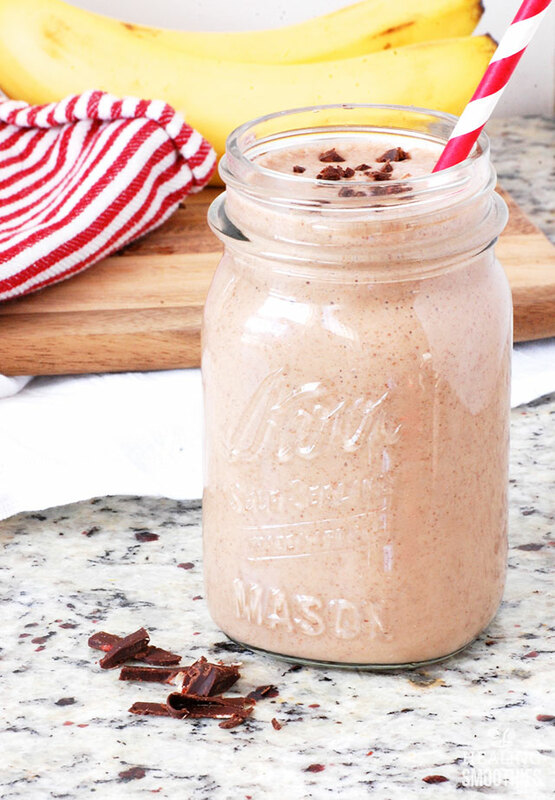 First, there are not many kids who would turn down a smoothie with chocolate in it, making it a regular classic. Second, dark chocolate is packed with nutrients. To get the best benefits of cacao, stick to dark chocolate with at least 70 percent cacao. Dark chocolate contains a variety of powerful antioxidants that help to fight damaging free radicals. Furthermore, dark chocolate is rich in manganese, fiber, iron, and magnesium. Bananas have a good supply of potassium, which keeps energy levels up and electrolytes replenished. The high level of vitamin B6 in bananas aids in proper brain development and produces serotonin and dopamine, which are necessary for nerve communication and can affect mood. You can even sneak some chia seeds into this smoothie. 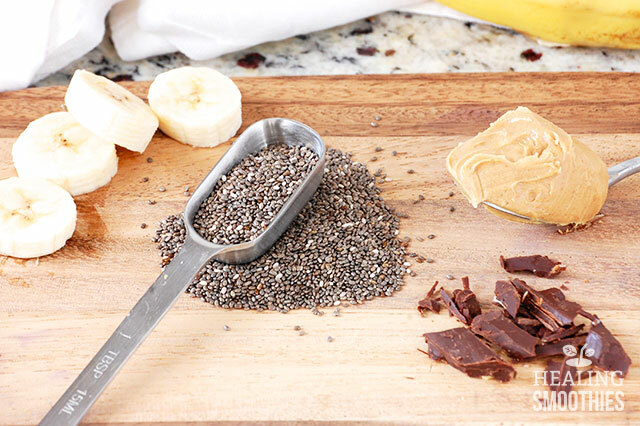 Chia seeds do not affect the flavor of the smoothie, but add protein, fiber, and omega-3 fatty acids. 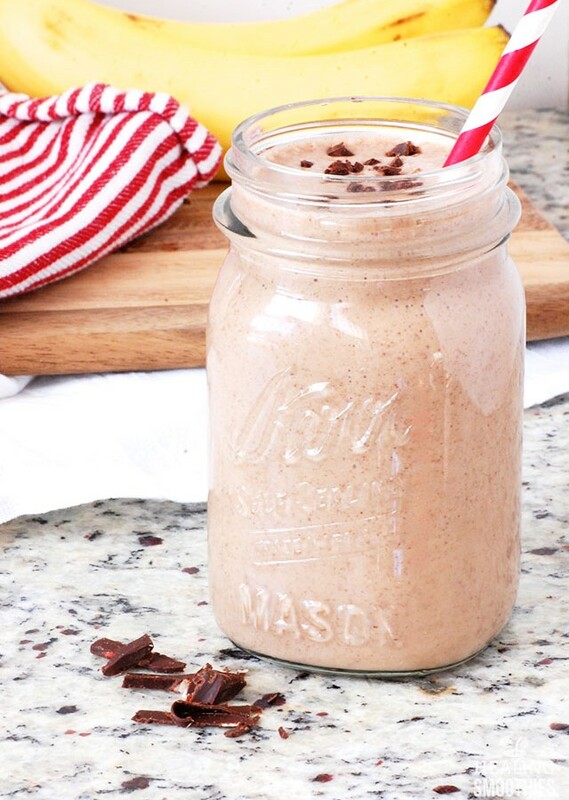 This smoothie will be a favorite thanks to the chocolate and peanut butter, but in reality it is full of fiber and protein, and low in calories and sugar. 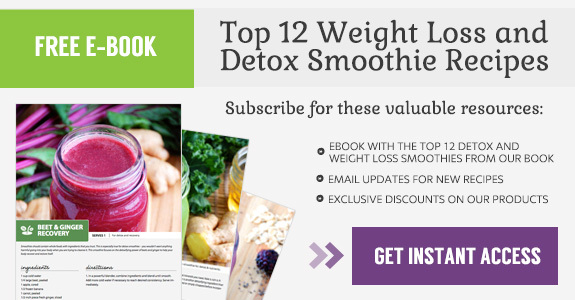 The creamy smoothie is indulgent, but at the same time a healthy choice. 1. In a large cup (if using an immersion blender) or a blender, combine ingredients and blend until smooth. Add more ice if necessary to reach desired consistency. Serve immediately.